Thinking Day 2012 – U.A.E. | Who Are You Calling Crafty? Thinking Day 2012 – U.A.E. Each Troop picks a country the girls learn about a specific country, native food, dress, etc and shares with the other troops. 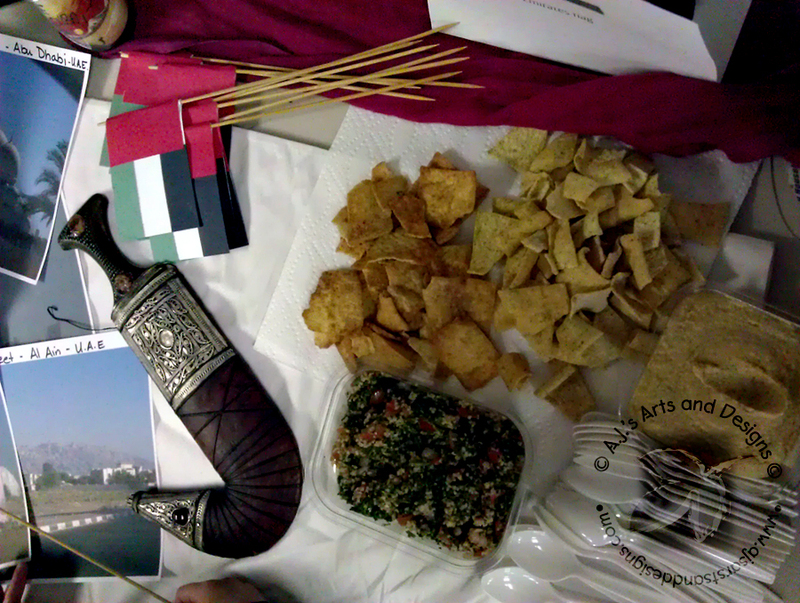 Our troop picked the United Arab Emirates, it was an easy pick because our troop leader lived there for 3 years. 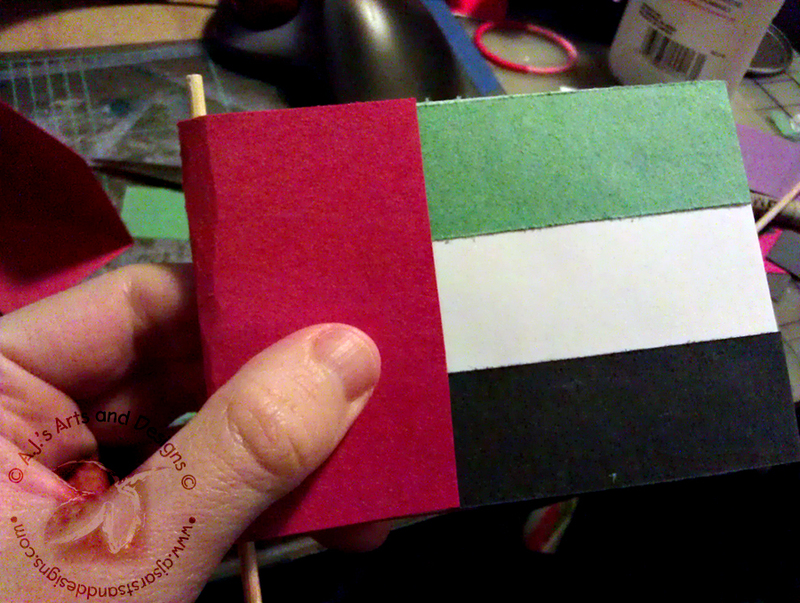 I decided to make little flags for the “Parade of Countries” (it was the only thing I remembered from Thinking Day when I was a Girl Scout!) So the Princess and I made 12 Flags for her fellow Girl Scouts. I created a template so everyone can download and make their own United Arab Emirates Flag. 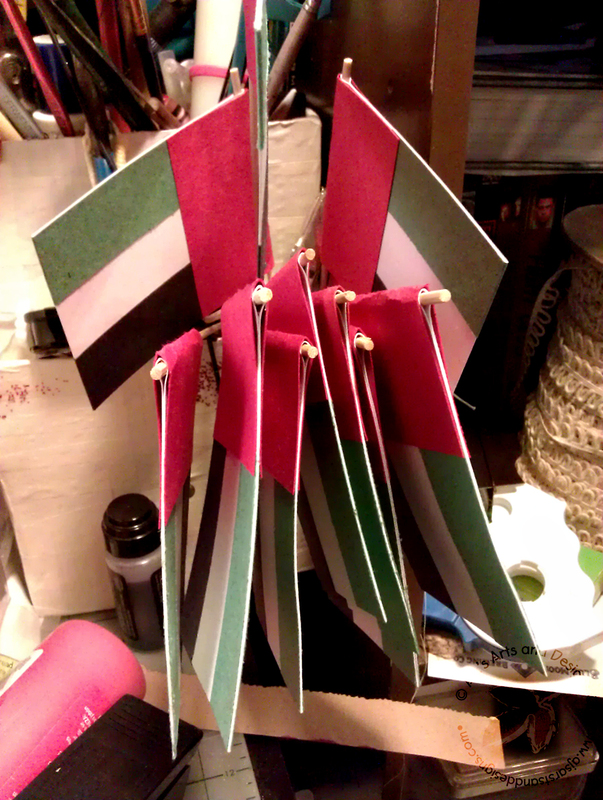 They are really easy to make and can easily be modified for the flag of any country. 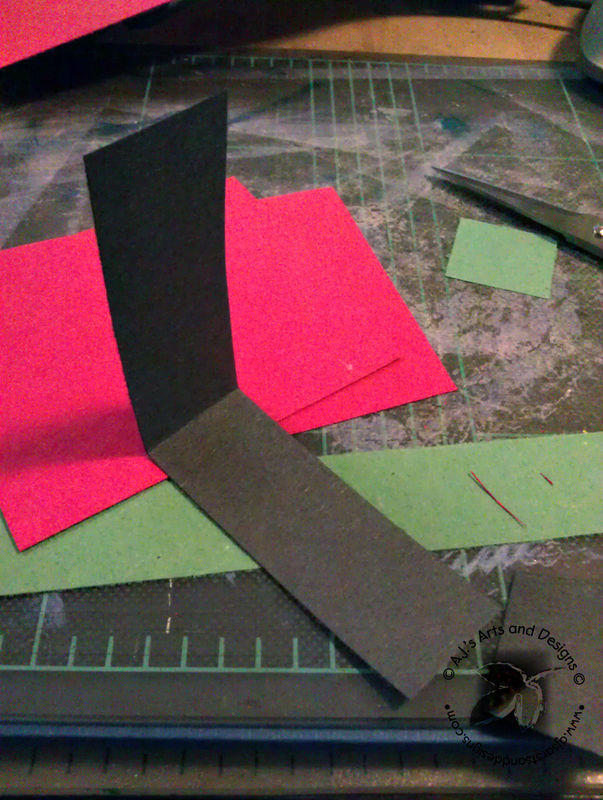 I folded the strips in half before gluing them. It was much easier to do it before than to do it after. I wrapped the strips around the edge of the flag. 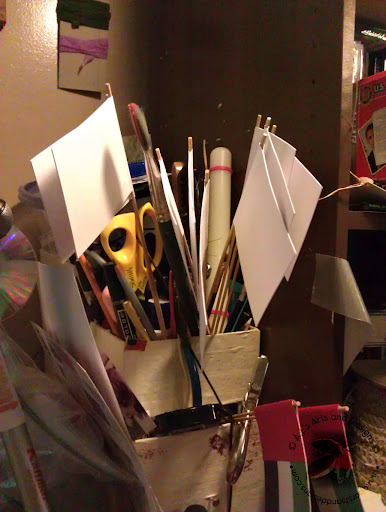 This worked as a dual purpose: extra strength (just in case there wasn’t enough glue holding the white paper together) and created a finished edge. 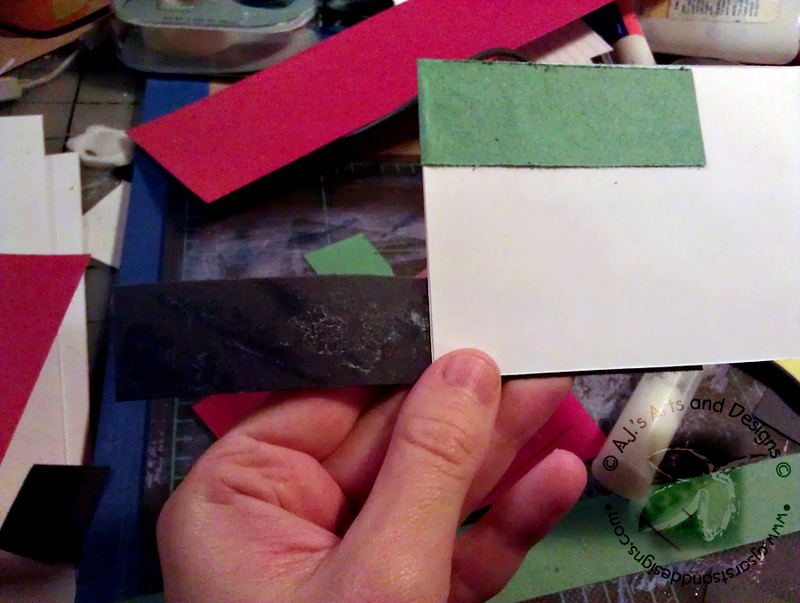 Added the red to the other side overlapping the green and black stripes. The only shot of the table I got with no girls in it.